Rodan+Fields Hand Treatment Reviews: Does It Work? Rodan+Fields Hand Treatment is a lightening, moisturizing, and anti-ageing hand treatment that helps improve the skin’s overall tone, texture, and appearance. It is loaded with powerful skin lighteners that immediately brighten the skin, and natural moisturizing ingredients that intensely hydrate the skin to make it smoother, softer, and more supple. If used on a regular basis, this product should help you achieve those brighter, firmer, and younger-looking hands. Rodan+Fields Hand Treatment consists of beneficial ingredients like skin lightening agents, moisturizers, peptides, and antioxidants. These ingredients are present in high concentrations in formula to ensure maximum effectiveness. Rodan+Fields Hand Treatment are a fast-acting formula that starts to work right after application. Its powerful brightening ingredients noticeably lightens skin and improves overall skin tone, while the moisturizing agents protect the skin from dryness and irritation. It also helps retain moisture and improve skin elasticity and resilience. The ingredients of Rodan+Fields Hand Treatment were not discussed in the official website, but it is mentioned in other websites that the product contains a powerful blend skin lightening agents, moisturizers, and anti-aging compounds. Some say that it is also enriched with emollient butter, oils, and hyaluronic acid, all of which are excellent moisture-retaining agents. It consists of a powerful blend of skin brighteners, moisturizers, and anti-aging ingredients. It may lighten the skin and evens out skin tone. It may provide intense moisturizing effects to make the skin smoother and softer. It helps retain moisture to improve skin firmness and elasticity. It makes the skin more younger-looking and with enhanced appearance. It is more expensive than most hand lotions and creams. Rodan+Fields Hand Treatment may be used anytime to give your skin that much-needed lightening and moisturizing boost. For best results, manufacturer recommends using the product with Rodan+Fields Redefine Age Shield Hand Balm during the day. This hand balm has SPF30 which could help protect the skin against both UVA and UVB rays. What are The Precautions When Taking This Product? 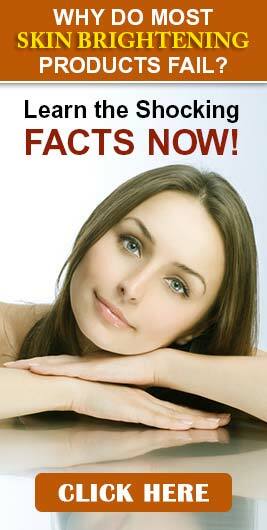 Skin whitening products, in general, can make the skin more sensitive to the sun. That’s why it is advised that you use a sun protection product to ensure proper protection of your skin during daytime, especially if you will be out in the sun for prolonged periods. Rodan+Fields Hand Treatment are said to safe, and the risk of adverse effects is minimal to none. However, should there be any unwanted reactions from this product; you have to discontinue it right away. Rodan+Fields Hand Treatment have quite a number of favorable reviews online, with saying that the product indeed produced good results. We will recommend this product, if it weren’t for the price. To reiterate, we think that there are more affordable products that could be as effective as or even better than this one. You might compare the reviews of its treatment with the other best skin brightening product.